Best tour in Loreto according to TripAdvisor! Enjoy the beauty of the Sea of Cortez on an economical, all-inclusive, half-day adventure that’s perfect for all ages. Take the best tour in Loreto aboard the WANTOSEA glass-bottom boat, comfortably cruising the waters around Isla Danzante in the Loreto Bay National Marine Park. Boasting 42 sq ft of underwater viewing area and a swim ladder that almost anyone can climb, the WANTOSEA glass bottom boat provides you a relaxing and unique way to see a variety of marine life – from the comfort of your seat. It’s common to see many kinds of local fish, dolphins, whales, manta rays, sea turtles, ospreys, blue-footed boobies, and more. For those that want to swim, each trip includes at least one snorkeling / beach stop. 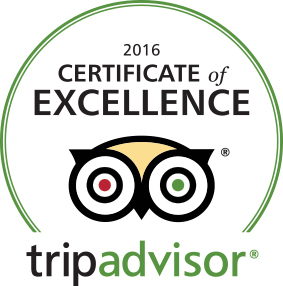 TripAdvisor ranks us the best tour in Loreto. Each trip is unique – Book your adventure today! Fastest Four Hours of a Lifetime! The GLASS BOTTOM BOAT provides an expedition on the water near Dasante Island in the Sea of Cortez offering a spectacular visual experience. We were provided with sights and sounds very few are able to see or imagine. We could view the interactions between the species with narration by our delightful host and guide. “Mike” greeted us with a smile and happy attitude, answered our questions and saw to our comforts throughout the day. Captain “Victor” expertly spotted whales and raptors along with navigating through the shallows and currents without flaw. Mike (our new friend) offered us kitchen delights all day as well as insuring our hydration with a multitude of beverages. The cost of the this adventure is NOTHING compared to what you will receive. *This tour has a minimum capacity of 8 people. Loreto Coastal Expeditions reserves the right to change dates and times in order to fulfill minimum capacity.